Custom “Master” iPSC Cell Line Generation using TARGATT™ technology! The TARGATT™ Master Human iPSC Line contains an attP “docking site” at the hROSA26 safe harbor genomic locus. Any gene of interest can be stably inserted at the docking site using a corresponding “attB” containing TARGATT™ donor plasmid, with guaranteed gene expression. The efficiency of this phiC31 integrase-mediated recombination is up to 100% efficiency with drug selection and up to 30% without drug selection. Our cell line model generation experts can also engineer your safe harbor locus knock-in iPSC lines using CRISPR/Cas9 for a multi-technology approach to generate a cell line model for your specific research needs. Applied StemCell, Inc. provides a comprehensive range of service to differentiate your iPSCs into cardiomyocytes using our proprietary induction protocol and reagents. We deliver ready to use, highly pure (>90%), functional cardiomyocytes. These differentiated cells provide a highly desirable in vitro platform for high content toxicity and drug screening and as a feasible alternative to animal and embryonic stem cell models. We can generate differentiated cardiomyocytes from your own pluripotent cell lines derived from healthy or disease iPSCs. Applied StemCell provides custom differentiation of your induced pluripotent stem cells (iPSCs) into high-quality hepatocytes for developing liver disease models, discovering therapeutic treatments, drug targets, and understanding drug induced hepatotoxicity. Using our proprietary induction protocol and reagents, we can generate differentiated hepatocytes very efficiently and with high purity from your own healthy or disease iPSCs. Comprehensive services to fully characterize your ESC/ iPSC cell lines! ASC’s teratoma formation analysis and karyotyping service has > 97% success rate and has been acknowledged in > 30 peer-reviewed publications. Applied StemCell has a staff of talented scientists that can help you with the more complex to the daily laboratory tasks required of iPSC cell culture. Give your staff the freedom to focus on other project, while Applied StemCell takes care of your cell culture needs. Mouse embryonic stem cells (mESCs) are commonly used to study gene function during early embryonic development and to generate knock-in or knockout mouse models. mESCs are also a valuable tool for drug testing and high-throughput screening. Applied StemCell has successfully derived hundreds of mouse embryonic stem cell lines from various mouse strains including gene-targeted strains. We offer a service to derive novel mouse ESC lines from your own transgenic mice or from any strain-of-interest. We can advance your stem cell research in a timely manner. Deliverables: 2 vials of frozen, ultra-low passage (p2-p4) ESCs, each containing 1 million cells. Our CRISPR/Cas9 service uses proprietary gRNA design and protocols to genetically modify any gene of interest in hundreds of mammalian cell lines. CRISPR/Cas9 genome editing in control/ patient iPSCs to engineer or correct mutations for predictive in vitro modeling of human biology and disease. Applied StemCell has optimized the CRISPR/Cas9 technology to achieve the highest success rate for genome editing of human blood lineage cell lines. ASC is one of the earliest service providers of CRISPR/Cas9 technology, and has successfully delivered >500 CRISPR engineered mouse models in as fast as 3 months. Our animal model portfolio includes constitutive/ conditional knockout, locus-specific/ safe harbor knock-in, controlled gene expression and gene correction, to name a few. Our team of scientific experts will discuss your project needs and suitable strategic options in detail to fit your budget and research needs. We can generate conditional knockout mouse models to your specifications. You will have precise control over where or when your gene is knocked-out. Custom CRISPR mouse model service using advanced design strategies, optimized protocols and validation methods to generate mouse models quickly. Leverage our expertise in knock-in/ knockout mouse model generation, vector designing, ES cell targeting and mouse handling to advance your research. Our animal specialists can generate transgenic mouse models using bacterial artificial chromosome (BAC) or random microinjection into the pronucleus. With the need to physiologically relevant animals models on the rise for more predictive research findings, genetically engineered rat models are becoming increasingly popular. Get ahead of your competition by leveraging Applied StemCell’s expertise in CRISPR/Cas9 and TARGATT™ genome editing technologies and animal models engineering to generate the ideal rat model to meet your specifications and budget. CRISPR/Cas9 technology will be used to generate rat models that contain point mutation(s), small reporter/ gene insertions and conditional knockouts. We offer BAC design, cloning strategy, cloning and sequence validation of the BAC, pronuclear microinjection of BAC into rat embryos, and genotyping. Applied StemCell’s proprietary TARGATT™ knock-in mouse technology enables highly efficient and site-specific gene integration to generate transgenic mouse models. This technology uses PhiC31 integrase to insert any gene of interest into a specific docking site that has been pre-engineered into an intergenic and transcriptionally active genomic locus for guaranteed transgene expression. Single copy in an active locus: avoid gene silencing and genomic instability. Please contact us to discuss your project plan. Applied StemCell’s proprietary TARGATT™ technology enables generation of physiologically relevant transgenic rat models suitable for a variety of applications including reporter gene expression, gene knock-down, conditional gene expression and disease models. This technology uses the Phic31 integrase to mediate an irreversible integration of large transgene(s) into a preselected, safe harbor locus with guaranteed gene expression. Using the TARGATT™ technology, ASC has also developed Neural Specific Cre-Rat Lines in a Sprague Dawley rat background. Please inquire. Applied StemCell’s proprietary site-specific TARGATT™ technology can be used to generate stable, knock-in of large transgenes in cell lines, including stem cells, very efficiently and quickly. Knock-in is mediated by PhiC31 integrase at a pre-engineered “docking site” in an intergenic, transcriptionally active genomic locus (safe harbor locus) for guaranteed gene expression without disruption of internal genes. This technology allows only a single-copy integration with very high efficiency with or without clonal selection. Use our TARGATT™ technology to generate your ”Master” cell lines, reporter/tag lines, for iPSC generation, conditional gene expression models and more. Also, try our ready-to-use TARGATT™ Master Cell Lines to knock-in transgenes in your own lab. The TARGATT™ technology enables faster and efficient site-specific integration of large DNA fragments in cell lines. This technology offers an ideal platform for generating stable isogenic cell line libraries for mammalian cell display-mediated antibody engineering, protein evolution screening, mammalian two-hybrid (M2H) screens and more. It allows only a 1:1 variant-to-cell ratio, and guarantees uniform and consistent expression of the gene/protein for efficient screening. Animal bioproduction uses transgenic animal mammary gland as a bioreactor for the production of recombinant proteins. Animal bioproduction, compared to CHO bioproduction, has the advantages of lower upfront and maintenance costs; is easy to contain, control and transport; involves faster development processes and no scale-up issues; and has a unique low-cost bulk holding stage (frozen milk). However existing technological methods such as random integration to create transgenic animals have many limitations. Applied StemCell has overcome these limitations with our proprietary TARGATT™ technology to reproducibly, and consistently, control the knock-in locus, copy number and expression of the target protein in transgenic animals. Applied StemCell provides lentiviral and retroviral custom virus packaging services for your CRISPR/Cas9 components, CAR-T expression vectors and other transgenes, for efficient delivery into cell lines (such as hard-to-transfect cell lines, primary cell lines) as well as direct injection into animal models. Applied StemCell is one of the earliest licensees and provider of CRISPR/Cas9 genome editing services. We are experts in designing and cloning components for CRISPR-based gene editing in cell lines and animal models using benchmark strategies and optimized protocols. Our scientists have designed > 1000 CRISPR projects for researchers worldwide, and we use the latest sequencing and next generation sequencing (NGS) protocols to validate your gRNAs and to ensure high efficiency gene modification in your gene of interest. We also offer comprehensive custom CRISPR cell line and mouse/ rat model generation services. 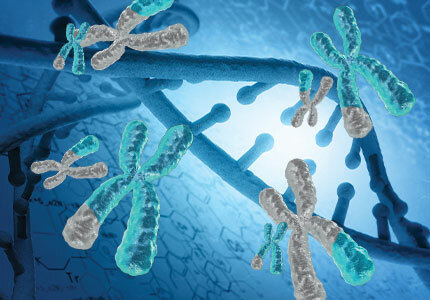 Applied StemCell has extensive expertise in anything DNA-related. We can develop the best strategy to tackle your cloning projects, and find solutions to all your technical problems. Bacterial Artificial Chromosomes (BACs) are ultra-low copy vectors that can hold up to 300 kb of genomic fragments, making them ideal vectors for introduction of entire genes including the regulatory regions for disease modeling with transgenic animals. BACs are traditionally difficult to modify with restriction enzymes and ligases because of their large size. Applied StemCell uses homologous recombination to introduce precise changes into BACs for your specific experimental needs. Virtually any desired modification can be introduced into a BAC, including insertion of reporter genes, point mutations, Lox-STOP-Lox conditional modifications, and more. Applied StemCell can also help you create transgenic rats using BACs. Make Informed Go-No-Go Decisions Early in Your Drug Development Process! Leverage Applied StemCell’s unique expertise in CRISPR/Cas9 and induced pluripotent stem cell (iPSC) technologies to engineer predictive and reliable in vitro disease models as an alternative to animal models for preliminary drug screening. Our ISO:9001 certified service platform offers full flexibility in choosing assay modules with a wide-range of functional endpoints for early-stage in vitro screening of preclinical drug candidates. We have a comprehensive cell-based test battery from which you can choose assays for efficacy, safety or target discovery that suit your therapeutic pipeline. We provide the scientific expertise, accurate and efficient screening to help you make informed decisions about your small/ large molecules early in your drug development process. As a long-standing leader in genetically engineered animal models, Applied StemCell also offers a comprehensive custom research solutions platform for downstream assays in mouse and rat models. Our state-of-the-art vivarium is equipped with automated cages & devices for behavioral assessments, sample collection and in vivo measurements (ECG, EEG) of the animals. We have a multidisciplinary team of expert scientists who can design a comprehensive project plan to fit any requirement/stage of your research pipeline and for drug discovery and screening. Applied StemCell offers gamma-irradiation service for irradiating cell lines (patient-derived, pooled, genome edited/ corrected cell lines) using a Nuclear Regulatory Commission (NRC)-approved Gamma-emission source to irradiate cells at a constant dose rate and to any desired extent of radiation. Irradiated cell line models are novel toolkits for applications such as generation of co-culture models using non-dividing/ feeder cells; to study mechanisms underlying cancer progression; wound healing and inflammatory responses after irradiation; screen drugs for enhancing irradiation sensitivity of tumor cells; and for xenograft tumor models. To speed up your research and development; we provide pre-clinical development services (CRO) and support. Our custom services will allow you to focus on the main aspects of your research while we develop the interim paradigms for you. Simian virus 40 T antigen to immortalize human fibroblasts is the foundation of Applied StemCell’s Fibroblasts Immortalization Service platform. Employing optimal isolation and culturing techniques, Applied StemCell will isolate primary cells from organs or tissues for your ideal cell model. Preserve your cells by FFPE (Formalin-Fixed Paraffin-Embedded) to create a reference standard, use for IHC, ISH or other applications.